Vacation Poster: Rusty Is Ready for Walley World! Just one day after the Vacation red band trailer debuted, Warner Bros. has released the official poster for the upcoming summer reboot. 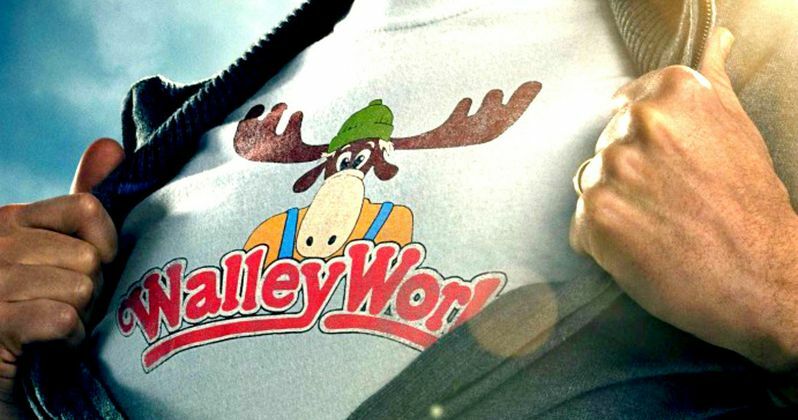 This one-sheet features Rusty Griswold (Ed Helms) proudly showing off his love for the theme park Walley World, where he took his first ill-fated road trip with the entire Griswold clan in the 1983 classic Vacation. As we saw in yesterday's trailer, Rusty's family isn't exactly on board with his plan, but it will surely be one memorable Vacation. The next generation of Griswolds is at it again-and on the road for another ill-fated adventure. Following in his father's footsteps and hoping for some much-needed family bonding, a grown-up Rusty Griswold surprises his wife, Debbie (Christina Applegate), and their two sons with a cross- country trip back to America's "favorite family fun park," Walley World. The cast includes Leslie Mann as Rusty's sister Audrey, Skyler Gisondo and Steele Stebbins as Rusty and Debbie's sons, and, of course, Chevy Chase and Beverly D'Angelo as the original vacationers, Clark and Ellen Griswold. Charlie Day, Elizabeth Gillies, Kaitlin Olson, Chris Hemsworth, Michael Peña, Nick Kroll, Keegan Michael Key, Regina Hall and Samm Levine round out the stellar supporting cast. The comedy marks the directorial debut of John Francis Daley and Jonathan M. Goldstein, who previously wrote the scripts for Horrible Bosses, Horrible Bosses 2, The Incredible Burt Wonderstone and Cloudy with a Chance of Meatballs 2. Take a look at the poster below, and stay tuned for more from Vacation, arriving in theaters July 29.